Lighthouse Cottage (615) can be let in conjunction with Crab Cottage as they are next door to each other.This property welcomes a maximum of two dogs. Just over 500 yards from the stunning South West Coast path giving access to the popular beaches at Watergate Bay and Mawgan Porth nearby, this beautifully presented attached cottage in an extension to the 200 year old main house and is a perfect location to explore the North Cornish Coast with its well known restaurants and fishing harbours. 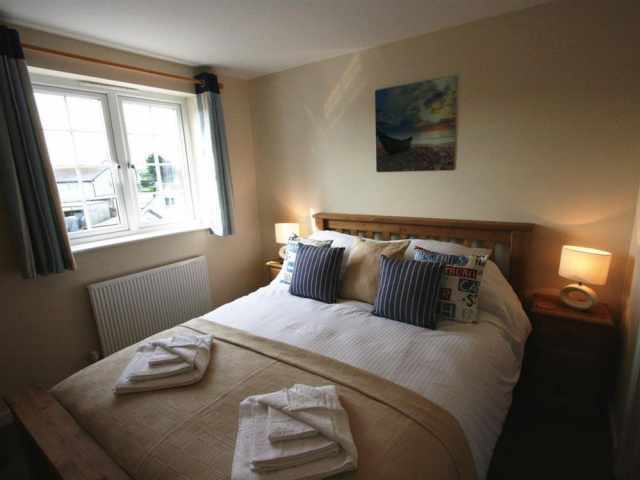 Mawgan Porth only a 5 minute drive has a pub, cafe, surf hire and local store and for wider shopping facilities the resort of Newquay is 5 miles with access to the beaches at Fistral, Pentire and Crantock. Jamie Olivers Fifteen is only 1 mile away at Watergate Bay and Rick Steins cafe and restaurant is 9 miles at the famous harbour of Padstow where you can also cycle the Camel Trail to Wadebridge. The South West Coast path located a short walk from the cottage gives access to Mawgan Porth and Bedruthan Steps to the north and Watergate Bay and Newquay Bay to the south. The Elizabethian houses of Trerice and Prideaux Place are 6 and 9 miles respectively and the The Eden Project, Lost Gardens of Heligan and Lanhydrock House are all less than an hour by car. Fronted by a shared brick paved drive with parking for one car directly outside the cottage, a gated side path leads round to the enclosed courtyard garden at the rear. Double glazed French doors with a step up opens into a bright and well finished living room comprising the whole of the ground floor with solid wood flooring. There is a modern well fitted galley kitchen, comfortable sofa in front of the wall mounted electric fire and a glass topped dining table and chairs in front of the window. 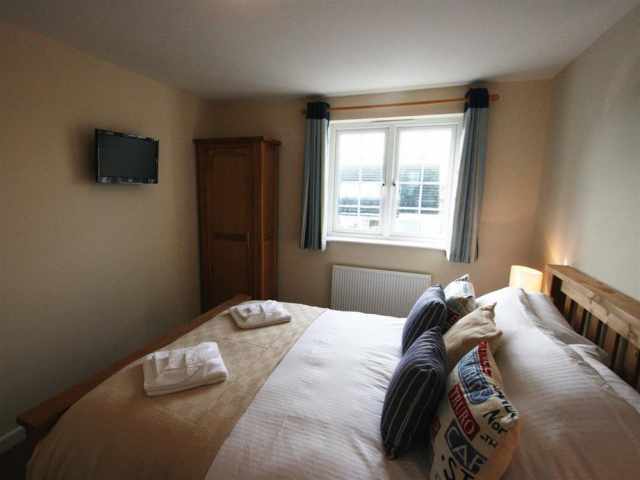 In one corner a carpeted staircase leads up to the landing on the first floor with two bright and comfortable bedrooms; a kingsize with digital TV and a single bedroom at the rear. To complete the accommodation is a fully tiled shower room with W.C, hand basin and double sized shower cubicle. 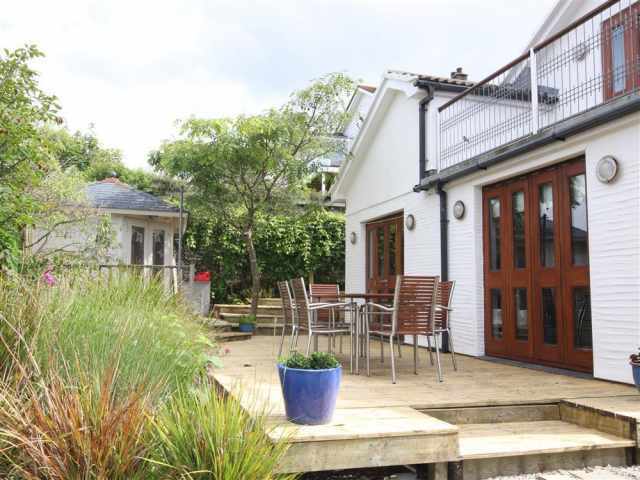 Crab Cottage has an enclosed rear gravel courtyard with a garden shed perfect for storage of beach gear and bikes. A timber gate leads to an unmade lane from which you can access the South West Coast Path and walk to the pub in the hamlet less than 5 minutes away with a farm shop and bistro only a 2 minute drive. 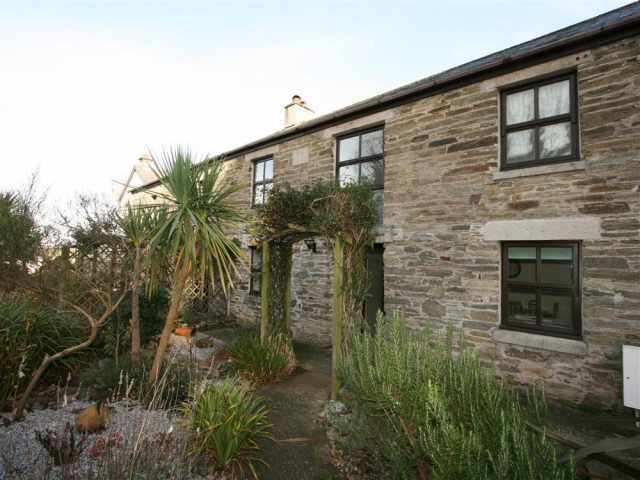 - Lighthouse Cottage (615) can be let in conjunction with Crab Cottage as they are next door to each other.